Programma di Recupero Dati Completo per Diverse Situazioni di Perdita. XBoft Data Recovery 2.0 era disponibile come app gratuita il 15 agosto 2018! 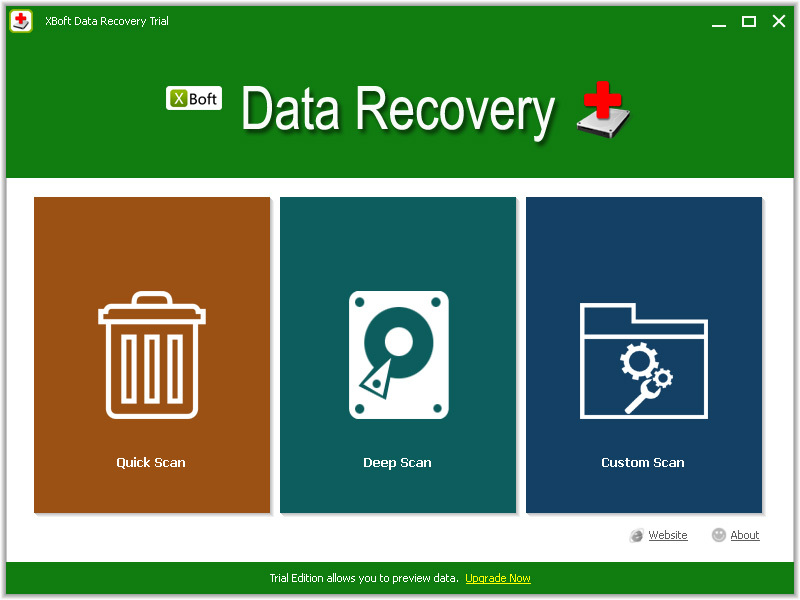 XBoft Data Recovery è in grado di recuperare i file, foto, documenti, video smarriti e molto altro dalla cancellazione, formattazione, perdita della partizione, crash del SO, attacco da parte di virus e altri casi di perdita di dati. Ti guida nell'individuazione di file smarriti in maniera accurata e nel recupero dal PC, laptop, hard drive, SSD, USB, scheda di memoria, camera digitale, ecc. fino al totale recupero dei dati. Recupera rapidamente i dati dalla perdita inaspettata causata dalla cancellazione accidentale oppure da attacco di virus. I dati cancellati dal cestino non sono un problema permanente. 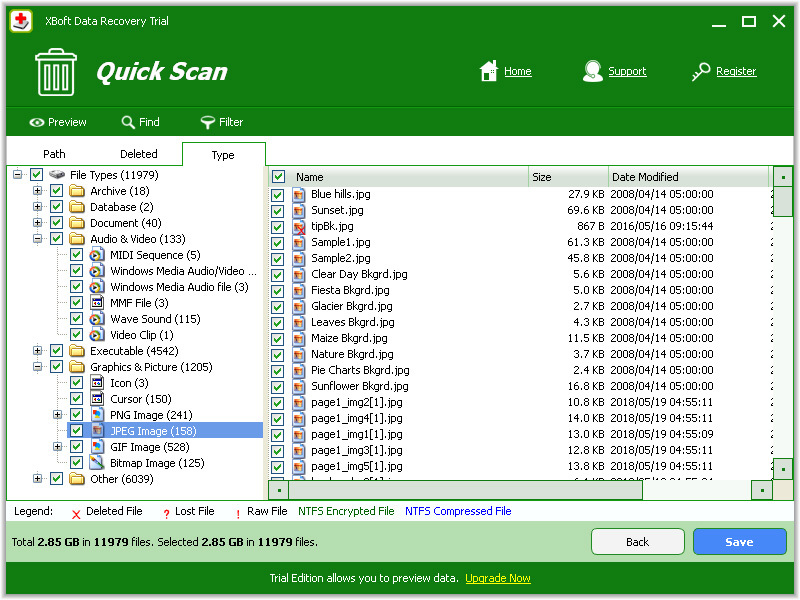 Se cambi idea, il programma di recupero XBoft Data Recovery ti aiuterà in maniera efficace. La formattazione del disco non cancella i dati sul disco, ma solo i dati sulle tabelle dell'indirizzo. Hai una grossa probabilità di recuperare i dati formattati. Anche se la tua partizione intera è mancante oppure non può essere riconosciuta dal sistema, i tuoi dati sono ancora recuperabili. Quando un hard drive è corrotto, diventa inaccessibile. L'hard disk oppure la partizione diventa all'improvviso RAW e non può accedere i dati salvati. Puoi direttamente scaricare il miglior programma di recupero dei dati. NB: La licenza illimitata senza aggiornamenti e supporto. 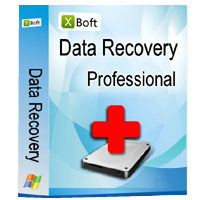 Scarica XBoft Data Recovery Versione Completa con 50% di SCONTO. Servizi di aggiornamento e supporto tecnico gratuito; Regali gratuiti per i nuovi prodotti, ecc. 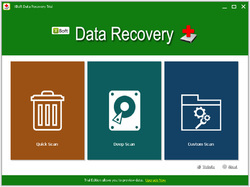 Data recovery software is always good to have before data recovery is ever needed. Unfortunately, for too many ordinary home users, acquisition takes place after, rather than before, data loss, at which point they install the software on the same drive on which that loss has occurred, oblivious to the fact that the installation itself has the potential to over-write the very data they're hoping to retrieve. So then. Installing data recovery software on a computer before data recovery is needed makes sense: yes? Er, no. Not really. The software doesn't do anything there. Doesn't monitor. Doesn't save. Doesn't insure against loss. It's inert until needed. To some users, that might seem a conundrum: if such software is said to be worth having in place now to contend with data loss in future, doesn't the fact that it is -- literally -- useless until such event occurs argue against even bothering with it? Me, I have no reason to add to the existing program stock on my computer yet another which only comes to life as-and-when. Hence, why I have a portable version of a recovery program on a couple of USB sticks, one in my desk drawer, t'other in a cupboard elsewhere in my home. That software is from Piriform. It's called Recuva. It's free. It comes in portable and non-portable guise and in 32-bit and 64-bit versions. It suits my needs, though that doesn't mean everyone else will have the same view. Nor does it mean that this is the finest forensic data recovery software around, because it isn't intended to be. But it's worked on the odd occasions when I've inadvertently 'lost' a file on my computer, and because it's self-contained on a little stick I can take anywhere, has also come to the rescue of friends and family members. Like all recovery software however, it is a tool of last resort; the plethora of back-up software available nowadays, and the low cost of external drives or Cloud accessibility (the former is to be preferred to the latter) means significant data loss really shouldn't be happening anyway. Backing up is the lock on the stable door, recovery software merely the pursuit of the horse after it has bolted. . .
Where today's offering is concerned, I have read as much as I can on the developer's website but can see no mention of a portable version. The omission isn't encouraging. For that reason then, thanks GOTD, but no thanks: at a retail price of $49, there's no reason why a portable version isn't available if this developer is truly serious about the work it is doing. Data recovery software is always good to have before data recovery is ever needed. Unfortunately, for too many ordinary home users, acquisition takes place after, rather than before, data loss, at which point they install the software on the same drive on which that loss has occurred, oblivious to the fact that the installation itself has the potential to over-write the very data they're hoping to retrieve. So then. Installing data recovery software on a computer before data recovery is needed makes sense: yes? Er, no. Not really. The software doesn't do anything there. Doesn't monitor. Doesn't save. Doesn't insure against loss. It's inert until needed. To some users, that might seem a conundrum: if such software is said to be worth having in place now to contend with data loss in future, doesn't the fact that it is -- literally -- useless until such event occurs argue against even bothering with it? The key to that conundrum is the phrase: <i>"having it in place". </i> <b>Where</b> you have placed that software. 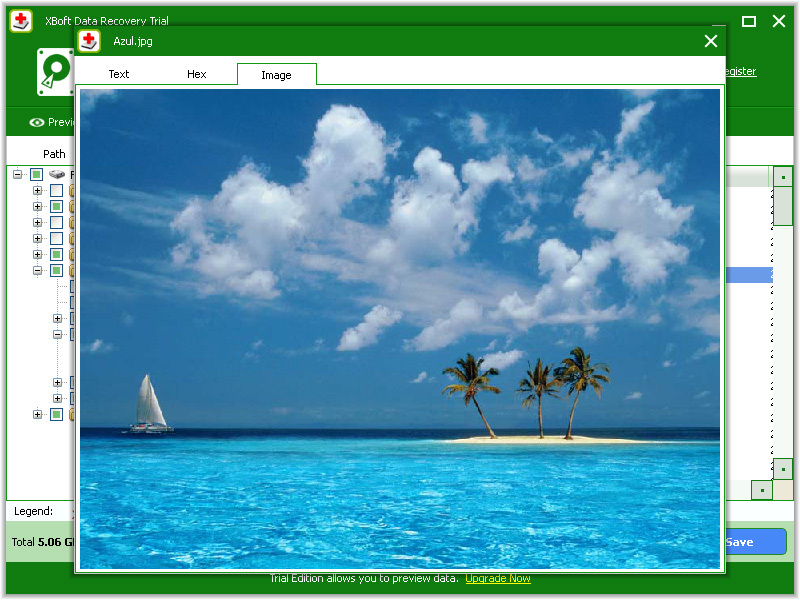 Location is all, which is why the best data recovery software publishers offer a choice of versions: portable, and non-portable: a version that functions perfectly well from its self-contained installation on a USB stick (portable) and a version that does the same but has been written to a computer (non-portable.) Me, I have no reason to add to the existing program stock on my computer yet another which only comes to life as-and-when. Hence, why I have a portable version of a recovery program on a couple of USB sticks, one in my desk drawer, t'other in a cupboard elsewhere in my home. That software is from Piriform. It's called Recuva. It's free. It comes in portable and non-portable guise and in 32-bit and 64-bit versions. It suits my needs, though that doesn't mean everyone else will have the same view. Nor does it mean that this is the finest forensic data recovery software around, because it isn't intended to be. But it's worked on the odd occasions when I've inadvertently 'lost' a file on my computer, and because it's self-contained on a little stick I can take anywhere, has also come to the rescue of friends and family members. Like all recovery software however, it is a tool of last resort; the plethora of back-up software available nowadays, and the low cost of external drives or Cloud accessibility (the former is to be preferred to the latter) means significant data loss really shouldn't be happening anyway. Backing up is the lock on the stable door, recovery software merely the pursuit of the horse after it has bolted. . . Where today's offering is concerned, I have read as much as I can on the developer's website but can see no mention of a portable version. The omission isn't encouraging. For that reason then, thanks GOTD, but no thanks: at a retail price of $49, there's no reason why a portable version isn't available if this developer is truly serious about the work it is doing. Apparently the software programming tool kit to construct data recovery software are used in "Computer Software 101" classes all over the world, as by now, every new company seems to offer data recovery software. XBoft ( ? ) Data Recovery seem serviceable with basic functions. I'd expect Microsoft to include this in the operating system by now, the way they killed flying toaster screensaver by adding Microsoft's own screensavers along with Windows -- data recovery has become such a rudimentary and required product, c'mon, Microsoft, Peter Norton's / Central Point Software's PC Tool's unerase / undelete are -o-l-d- by now. And, more importantly, this -- and all other products -- seem unaware of the evolution of the marketplace of new gear and new problems, as none seem able to wake up a non-responsive USB flash drive or USB hard drive or bypass a non-responsive "the drive is there but must be formatted" or "the interface is there but there is no drive attached" ... and SSDs anyone?!? -- and the display window is resizable on screen, yeah! China is BIG, so expect more, perhaps a million mini-Microsofts with equivalent funky names, like LadyStarSoft and GoldenPigSoft and DreamHoneySoft and ExcellentSoftSoft and iSoftBe and eSoftSpark and ( I'm consulting for free now, so I'll stop ).
. Apparently the software programming tool kit to construct data recovery software are used in "Computer Software 101" classes all over the world, as by now, every new company seems to offer data recovery software. XBoft ( ? ) Data Recovery seem serviceable with basic functions. I'd expect Microsoft to include this in the operating system by now, the way they killed flying toaster screensaver by adding Microsoft's own screensavers along with Windows -- data recovery has become such a rudimentary and required product, c'mon, Microsoft, Peter Norton's / Central Point Software's PC Tool's unerase / undelete are -o-l-d- by now. And, more importantly, this -- and all other products -- seem unaware of the evolution of the marketplace of new gear and new problems, as none seem able to wake up a non-responsive USB flash drive or USB hard drive or bypass a non-responsive "the drive is there but must be formatted" or "the interface is there but there is no drive attached" ... and SSDs anyone?!? At least -- it's clean according to VirusTotal, -- only phones home during registration, -- and the display window is resizable on screen, yeah! China is BIG, so expect more, perhaps a million mini-Microsofts with equivalent funky names, like LadyStarSoft and GoldenPigSoft and DreamHoneySoft and ExcellentSoftSoft and iSoftBe and eSoftSpark and ( I'm consulting for free now, so I'll stop ). .
Can this product be installed on a USB stick (along with other programs)? This would enable it to be used to recover data from a drive that can't otherwise be read directly, especially on a PC which only has a single HDD. Can this product be installed on a USB stick (along with other programs)? This would enable it to be used to recover data from a drive that can't otherwise be read directly, especially on a PC which only has a single HDD. I need to transfer data and programs from one windows 10 computer to another W10 computer. I doubt that this program can do that, can it. If not, can anyone recommend free program(s) to do this? Also, it's a computer that I've had for a long time and the operating system has slowed significantly so if possible, I'd like to be able to transfer these programs without using an image file that would overwrite the new computers operating system with the cluttered old one. Thanks for any ideas. What Peter said is true for the most part, but there is a solution most people are not aware of. "It's not possible to copy installed programs ( like Microsoft Office ) and have them work elsewhere, they must be installed in order to work, not copied." The reason people say that you cannot copy it is referring to the "installed to" folder. After a program is installed, there are several places in the OS that are affected, mainly parts dispersed through the registry, plus a few extra places on disk, from Program Files\common files, Program Data folders to My Document folders. However, if you knew where exactly where every piece was located, and duplicated that in another computer with the same OS, and took into consideration effects those additions cause (e.g., checksums in other windows parts), it would look the same as if the program had been installed there originally. The key thing here is "the same OS." In your case, that will probably work. The problem is determining all of the parts and their effects. An even bigger problem has been moving programs from an older OS to a newer OS. That problem resulted in the company LapLink (famous for transferring files from one computer to another in the early 80s using their "LapLink cable") to create PC Mover for XP. It was designed to move programs installed on an XP OS to Windows Vista or 7. They have continued creating variants of the program, and now have one to move programs from one profile to another profile. That need is generally when a computer is attached to a domain (MS network within a company). If the company gets bought or merges, the domain often needs to change, which can cause a lot of program re-installs to take place, meaning lots of time and money spent just to get things operational again. It seems conceivable that you are needing essentially the same thing. I cannot say for sure they can help, but it is valuable knowing that someone has been working on these types of problems for many years. There is one other company that does a simpler thing by moving a program installed from one drive to another drive, but I do not think that it can help with Win10 moves (not updated recently). This is a little off-topic, and will surely get some down votes but it is also valuable information that many more should know about. Hopefully, it might help someone, which should be out overall intent anyway. Best of luck to you. Marc, What Peter said is true for the most part, but there is a solution most people are not aware of. "It's not possible to copy installed programs ( like Microsoft Office ) and have them work elsewhere, they must be installed in order to work, not copied." The reason people say that you cannot copy it is referring to the "installed to" folder. After a program is installed, there are several places in the OS that are affected, mainly parts dispersed through the registry, plus a few extra places on disk, from Program Files\common files, Program Data folders to My Document folders. However, if you knew where exactly where every piece was located, and duplicated that in another computer with the same OS, and took into consideration effects those additions cause (e.g., checksums in other windows parts), it would look the same as if the program had been installed there originally. The key thing here is "the same OS." In your case, that will probably work. The problem is determining all of the parts and their effects. An even bigger problem has been moving programs from an older OS to a newer OS. That problem resulted in the company LapLink (famous for transferring files from one computer to another in the early 80s using their "LapLink cable") to create PC Mover for XP. 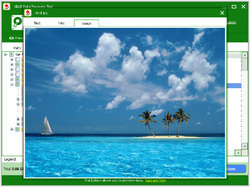 It was designed to move programs installed on an XP OS to Windows Vista or 7. They have continued creating variants of the program, and now have one to move programs from one profile to another profile. That need is generally when a computer is attached to a domain (MS network within a company). If the company gets bought or merges, the domain often needs to change, which can cause a lot of program re-installs to take place, meaning lots of time and money spent just to get things operational again. It seems conceivable that you are needing essentially the same thing. I cannot say for sure they can help, but it is valuable knowing that someone has been working on these types of problems for many years. There is one other company that does a simpler thing by moving a program installed from one drive to another drive, but I do not think that it can help with Win10 moves (not updated recently). This is a little off-topic, and will surely get some down votes but it is also valuable information that many more should know about. Hopefully, it might help someone, which should be out overall intent anyway. Best of luck to you. Ever since the pre Windows (DOS) days, I've yet to find, including this one, any software that satisfactorily can recover deleted data. They all, including this one, find literally hundreds of items with a coded name, so that you do not know what is what, and then you have to sift thru them all to MAYBE find what your looking for- MAYBE. Usually unlikely though. Very simple solution from PC's 101: backup, backup, and backup your backups. Then there is no/zero/nada recovery issues. It's all right there. Always.